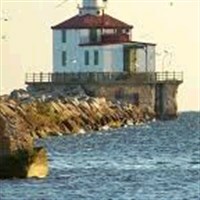 Come along and partake in wine tasting and great food in Ashtabula, Ohio - known as the Napa Valley of the east. 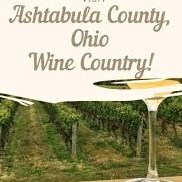 Come along with us as we partake in a wonderful day planned which includes tasting fine wine, eating great food and learning of the history of the wine country in Ashtabula, Ohio - known as the Napa Valley ofn the east! During our wine tasting and dining today, we will experience at least four different wineries including accompanying foods and snacks tailored to match a different highlighted wine style at each cellar door...this will be a delightfully yummy and fun day for all. Each year our passengers have loved this wine experience so we are offering it again for 2019. 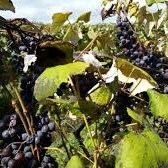 Includes lunch, snacks, and all wine tastings throughout the day at each winery. Includes: Deluxe motorcoach transportation, lunch, snacks, and all wine tastings throughout the dat at each winery. Walking Code 2: This tour requires that you can climb stairs and walk reasonable distances, possibly over uneven ground and walking surfaces. Insurance: Travel Insurance is optional. To be eligible for the waiver of pre-existing medical condition exclusion, the protection plan must be purchased within 15 days from the time you make your initial trip deposit and for the prepaid non-refundable payments or deposits. If purchased, the insurance premium is refundable during the 15 day review period, unless you have filed a claim or departed on your trip. The insurance premium is non-refundable after the 15 day review period. To view/download the Policy, go to: http://policy.travelexinsurance.com/312A-1217. Salem Burger King Rear Parking lot ONLY! !